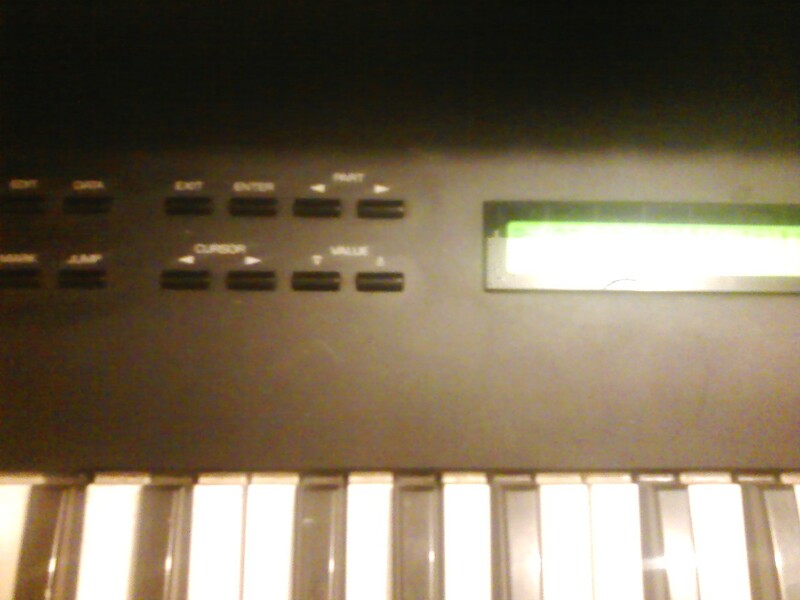 I got a good deal on it and needed a digital piano keyboard, something with a decent piano sound on it. It didn't take long for me to find it's shortcomings. Little or no editing ability, the ROM tones are pretty much what you have to work with. There was a review of this keyboard somewhere that said the sounds are 80's cheese, I would have to agree, but you can make some interesting sounds by combining tones. As far as it being durable, some people have commented that it is extremely durable. I can't see how they figure this, I don't play that hard and have already broken two keys. Also the U-20 has those crappy Rolnad buttons that stop working after a while, I ended up pressing so hard on a button that a screw came out of the circut board and the button is no longer accessable. This also caused another problem, the screw jangled inside the unit until it zapped the memory. ALL memory had been replaced with garbage. I didn't have a computer at the time, so needless to say I was less than impressed with having to reprogram everything from scratch. Although I can, I still haven't put the factory presets back. So now that I've trashed this unit, I will say I've used it steady for four years, and I gig allot. I really like the MIDI set-up, you can play allot of sounds by layering and splitting the keyboard. I find I make allot of patches with several splits so I don't have to change the patches in the middle of a song (If only there were more keys). I haven't done this much, but it works as a good controller as well. UPDATE - july 17 2005 fixed the buttons and just a note I have been using the direct outs to set up a click track by diverting a couple of cowbell sounds there. Then they are amplified and sent to my drummer. I want to add something with a whole lot of hindsight. This has been my gigging workhorse for over a decade! While it is getting rough around the edges it is still a pretty powerful little keyboard. It was not ever a flagship keyboard and yet has alot of little really cool features. Like the fact you can layer and split up to 6 tones up and down the keyboard (you will probably lose alot of polyphony but it is possible). The extra set of outputs. And something that I have forgot to mention and I have found extremely useful. A MIDI monitor. In it's 2 Rx modes you can see MIDI information coming in and in it's Tx mode you can see what's going out. This is handy for diagnosing dead MIDI cables and malfunctioning MIDI devices. Or if you want you can delve into the MIDI information itself. You will need some manuals and an understanding of hexidecimal, but it is there. So maybe not the most realistic piano sound ever, but it does nicely and also has aftertouch. Channel aftertouch but aftertouch. So compared to my RS-5, the sounds are pitiful and few, but the features (for me) are more professional. cosmeticaly There is a visible crack in a key ,and some scratches and nicks. 2016: After years of trying other keyboards this is still the one I take with me on the road. Maybe someday I will add a filter circuit and it will be an incredible machine. The orchestra and Ethnic cards are inserted. 2010: I have decided to semi retire the u-20. It had several things that needed repair. Namely the left output jack and the MIDI in jack. For some reason they break loose from the circuit board. Maybe it has something to do with the angled back, I'm not sure. Anyway I opened it up and fixed it last week. 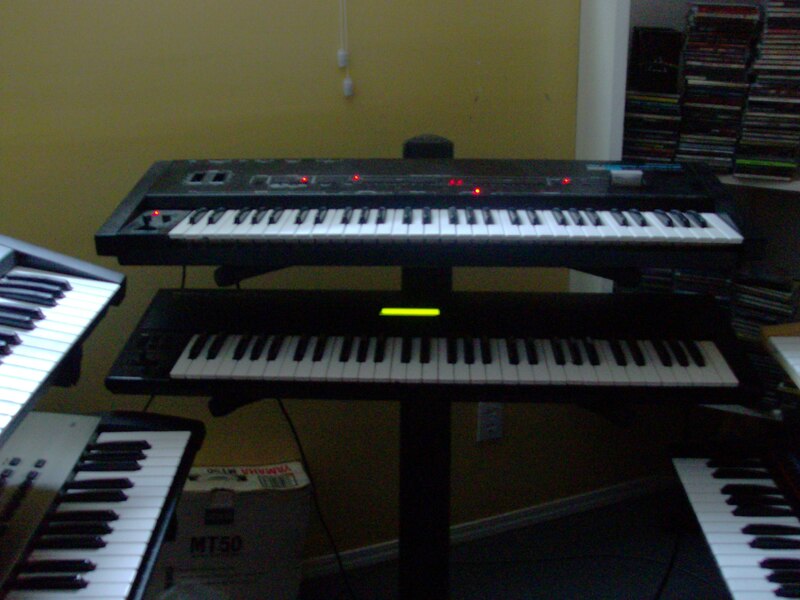 And it is in the basement set up with the other keyboards. 2008: I at the moment have it set up in my dining room! I am gearing up for a live Beker show, and am practicing as much as possible. It also travels with me to gigs but I have my eye on a few replacements, I think this unit should be retired as well.